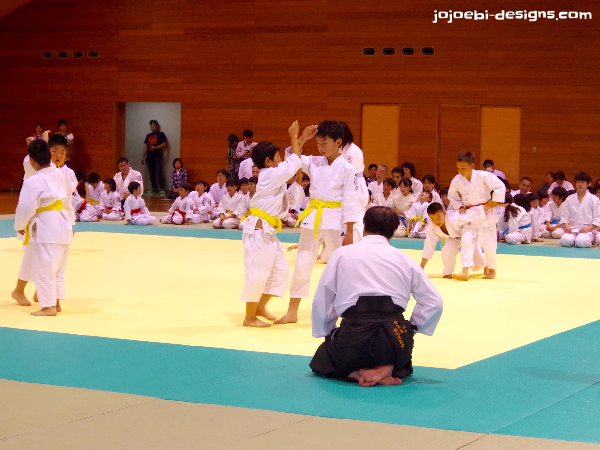 Aikido is a non competitive sport so instead of tournaments, the organization arranges display meet ups. This year it was held at Koshigaya, about an hours drive away. This was a kids meet up and about 170 kids were there. 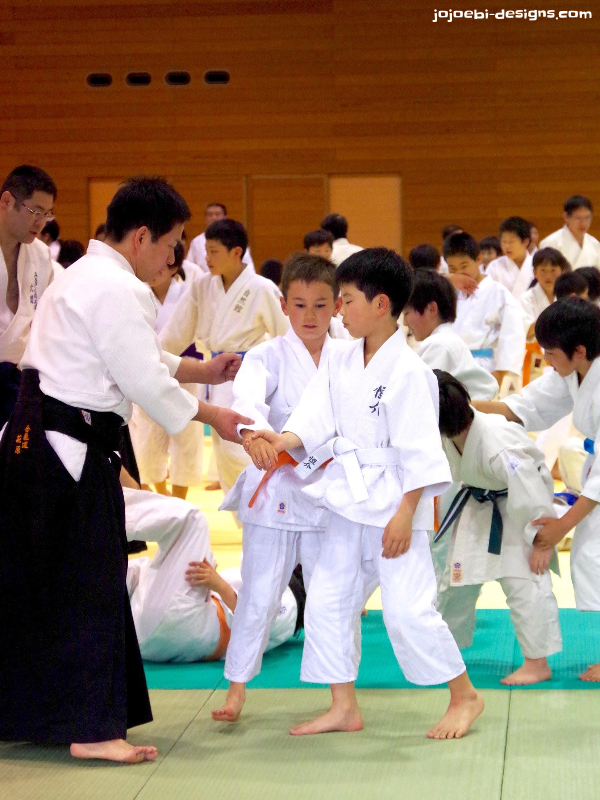 Normally, at his own dojo I can spot Ebi-kun easily because he is the only one with an orange belt but here there were belts of every colour and some tiny kids in the mix too. 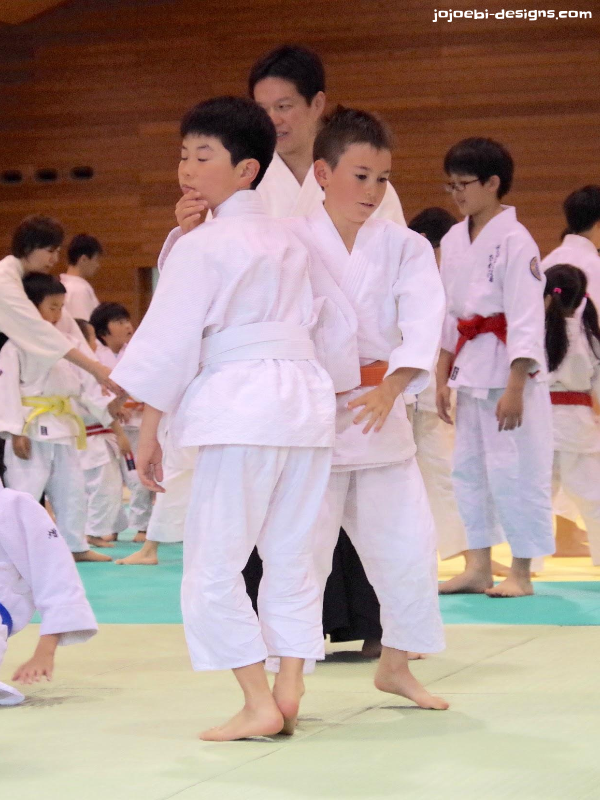 After the warm up, the big sensei demonstrated a move then the kids paired up to practice, it was a bit dangerous having so many kids on the mats at once! They could have done with a few more mats down I think. 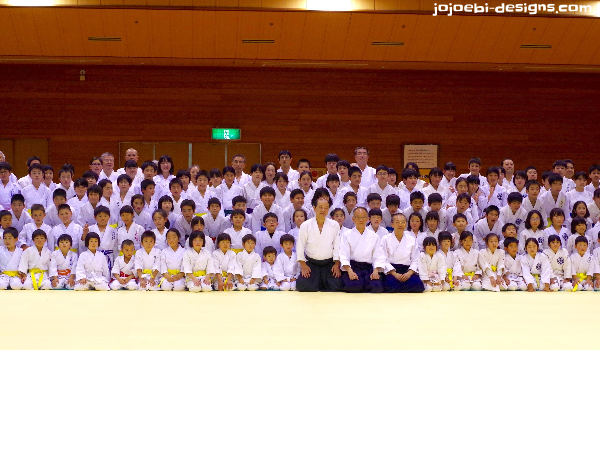 The sensei's wandered among the kids checking that they were doing it correctly and they also got to practice with kids from other dojo's. There are a couple of kids or 'the naughty boys' as Ebi-kun calls them that mess around a lot so he doesn't like working with them. After an hour of practice, it was display time. Each Dojo had 4 minutes to strut their stuff. Ebi-kun was paired up with 'big naughty boy'! You can't see the belt but he's the one with his feet in the air! 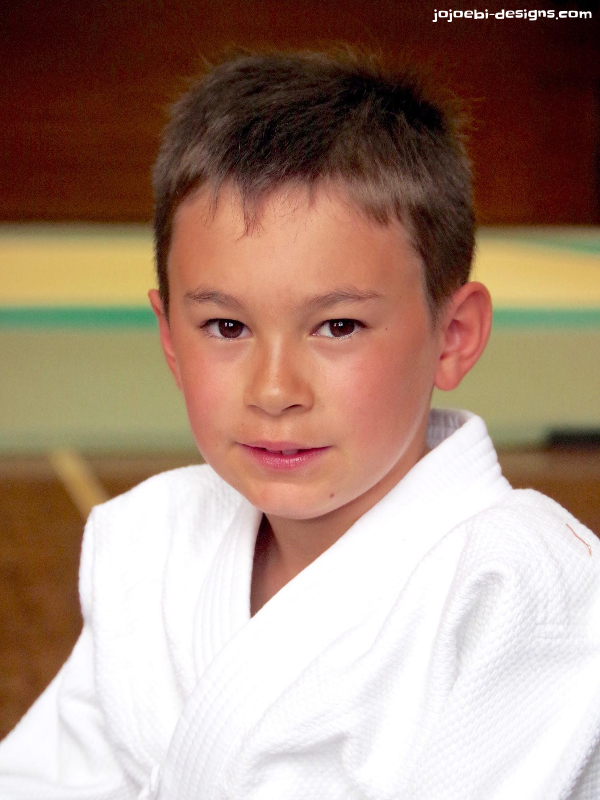 Next Sunday it's back to the regular dojo and the Sunday after that my mom will be here to watch! How much fun he must be having!